3 Days (2 Nights) safari to Kibale forest features a chimpanzee tracking adventure and bird watching in Bigodi wetland plus a visit to Mahoma falls for relaxtion and swimming. Kibale forest National Park is located in the southern region of the country and the drive will take you approximately 6-7hrs with minimum stops and regular traffic. If you are to fly to the park, this is about 1:15mins. Your driver and company representative will meet you at the airport or any other pick up location after your breakfast. Please feel free to let your guide know about your needs for your trip, if you require regular stops to take pictures or to stretch. Enjoy the interesting drive through Mubende town all the way to fort portal town; use this chance to peep the crater lakes. Proceed to the park for the rest of the evening at leisure with diner and overnight stay. Wake up to a hearty breakfast, and get ready for today’s adventure in the rainforest. Your guide will help through the briefing procedure and please note to keep time for the briefing. Tracking in the forest starts early as 8:00am, remember to carry some drinking water, snacks, and a camera in your backpack. 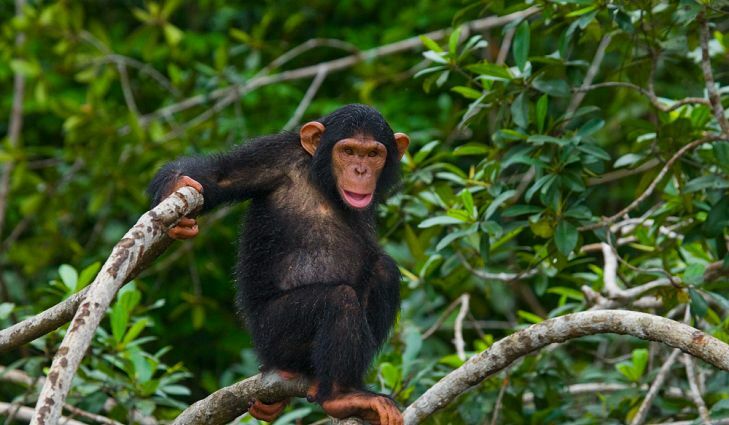 The chimpanzees are spread wide in the forest canopies and can easily be spotted swinging and making a lot of noise in their nests. Look out for the colobus monkeys, red tailed monkeys numerous birds and forest hogs. Proceed to the lodge for your warm lunch. In the afternoon follow your guide through the Bigodi wetland, a sanctuary for birds in Kibale forest National Park. With this experience you could have a chance to spot the rare shoebill. Return to the lodge for the rest of your evening with diner and overnight stay. This is the last day at the primate capital of the world, have your breakfast and check out of the lodge. Drive off to the Mahoma falls trail, these falls are so captivating and very beautiful, try to take a swim but be careful, and there are quite a number of Rocks. Drive back to Kampala for your night stay or to the airport for your flight to your next destination.